Although the NHS dominates the provision of healthcare in England, there is still a very significant, and very valuable, private sector. According to the market analysts LaingBuisson, at the end of 2016 the private acute medical sector (operations, treatments, and screening, but excluding mental health and primary care) had a market worth of over £6 billion.LaingBuisson, Private Acute Healthcare, Market Reports, London 2018. But accurate and transparent data and statistics relating to private healthcare providers, both hospitals and individual consultants, and to patient safety, has always been difficult, if not impossible, to obtain, so that private hospital patients have had little or no idea of how good or how safe the healthcare being provided to them really is. In April 2014, however, the Competition and Markets Authority (CMA) published its final report on measures to increase competition in the private healthcare market. CMA Private healthcare remittal: Final report The CMA report included measures to increase the availability of information to patients on the performance of consultants and private hospitals, as well as on consultant fees. In December 2014, the CMA approved arrangements proposed by an organisation called the Private Healthcare Information Network (PHIN) to establish an Information Organisation (IO) that would make private healthcare information available via an independent public website. PHIN took up this role on 6 April 2015. PHIN was, in fact, developed in 2012, initially by a group of private hospital operators comprising the majority of UK private hospitals, to provide patients with straightforward and easy-to-understand information about the quality and safety of care in the private healthcare sector. Access to it is free to patients and the public. PHIN presents itself as an independent, not-for-profit organisation that publishes data to help patients make informed decisions regarding their treatment options and to help private healthcare providers improve standards. PHIN states (on its website) that its “vision is that all patients considering private healthcare will have access to trustworthy, comprehensive information on both quality and price to help them make their decisions”. k) frequency of adverse events, as agreed by the IO and its members to be appropriate. It is self-evident that some (but not all) of the above measures are particularly pertinent to patient safety. PHIN initially aimed to collect and analyse data from over 500 hospitals and 12,500 consultants. In 2015, it was anticipated that PHIN would publish specified hospital performance information by 30 April 2017, and information on consultants from 2018. It was also anticipated that the data would be incomplete at first: indeed, PHIN admitted as much in its 2016 Annual Report, but it was considered that this would improve with time. Organisations that failed to submit data in compliance with the CMA’s requirements could receive a legally binding order from the CMA to comply. The PHIN website enables a patient to search for a hospital or consultant, analyse the data provided, and compare it with other hospitals or consultants, which would, in theory, enable them to make an informed choice. This should also, again in theory, introduce an unprecedented degree of quality-control in the private healthcare sector, with the under/poorly-performing hospitals and consultants being identified and so ultimately failing to attract patients. And this, over time, would hopefully not only improve competition within the private healthcare market but also improve patient safety. From my perspective as a clinical negligence lawyer acting for patients injured by healthcare errors, with much of my work relating to private sector care, if PHIN were to reduce the incidence of such injuries, it could only be welcomed. Regulator rating: (by the Care Quality Commission – CQC) this is “requires improvement”; a breakdown is provided as to the specific services (safe, effective, caring, responsive and well-led). This is nothing but a summary of information obtainable from the CQC website but in far less detail than on that site. Length of stay: this is 47% day case; a breakdown shows a graph of average nights stay from 0-9 and compares it to all hospitals (but no actual numbers are given). This is pretty meaningless without greater detail as to the nature of the procedures, etc. Patient numbers: these are 4,335 (compared to the average of 2,448 for all hospitals included in PHIN’s data). The explanation acknowledges that “The number of patients treated at a hospital is not on its own an indicator of quality of care, and it is not possible to say with certainty what is an ideal or clinically safe minimum number of individual procedures”. Patient satisfaction: 98% “recommended” the hospital over a 12 month period, although this figure is for only 989 (23%) of the 4,335 patients treated; and this breaks own into extremely likely to recommend (836), likely (129), neither or don’t know (9), unlikely (9) and extremely unlikely (7). This is based on the Friends and Family Test (FTT) used in the NHS, and does not address patient safety, or at least does so only tangentially. Patient experience: this is 93% of “needs met”; this is broken down for 992 responses into involvement in care and treatment, talking to staff, privacy, medication, contact and respect/dignity. Again, this does not address many issues pertinent to patient safety. Health outcomes: the entry for this is “no participation”, meaning “the hospital is not reporting health improvement information to PHIN”. If information were provided it would be with respect to the following procedures only: Carpal Tunnel Release, Cataract Surgery, Hip Replacement, Knee Replacement, Shoulder Replacement, TURP, Abdominoplasty, Augmentation mammoplasty, Blepharoplasty, Liposuction, Rhinoplasty and Rhytidectomy. This information is most obviously relevant to patient safety: but given the limited number of procedures included, and given that the methodology is based only on patients’ (subjective) Patient Reported Outcomes Measures (PROMs) the information would be next to useless. But even that information is not being provided. PHIN suggests that: “Currently, we publish the degree to which hospitals are engaged in collecting and reporting health outcomes. While not a quality score in itself, it provides a useful indicator of the extent to which a hospital is actively engaged in measuring and improving clinical care”. Regulator information: this is simply the consultant’s GMC number and a link to the GMC website. Hospitals: a list of the hospitals at which the consultant works and whether he/she sees NHS and/or private patients. Patient numbers: the number of patients, both NHS and private, admitted by the consultant over a 12 month period, with acknowledgment that this is nothing to do with quality of care. Length of stay: the box initially appears to be empty of data; you have to click on a specific procedure before the information is then displayed, although again the information is limited. It is possible to click on the doctor to obtain a page of more specific information, with a short personal biography, their medical specialty and specialist clinical interests, the hospital details where the consultant works, and then the same information as 1-4 above, but broken down for each of the specific procedures listed by the consultant. The upshot is that there is a manifest lack of any useful information relating to patient safety. On 13 September 2018, PHIN published a press release noting that 1,000 private consultants had “Sign[ed] up to Transparency”, meaning that PHIN had published the first performance measures for 1,000 “leading” consultants. Future of Health and Social Care in England, p. 4. Even when, or if, PHIN manages to get the further 4,000 consultants to provide their data this would tell us nothing about the quality of consultants’ private work as a whole. In any case, as my review of the available data shows, the information that has been provided is literally useless to a patient trying to identify under which consultant they are most likely to have safe private treatment. 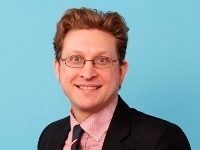 Notwithstanding all of the above, Adam Land, the Senior Director at the CMA, is quoted as having said of PHIN’s latest press release: “It is vital that people choosing private healthcare should have all the information they need before deciding on the best treatment for them. That’s why we investigated the sector and insisted that the performance of hospitals and consultants should be available to patients. With information on over 1,000 consultants performance now available, PHIN’s publication marks an important step along the road to greater transparency in private healthcare”. But again, there is no information on consultants’ performance on the website. In fact, all that is provided would appear to be information that assists the consultants in marketing their services. So, three years on PHIN has failed to publish anything of any material use regarding patient safety with respect to private consultants. It has provided slightly more information on private hospitals, but the most important information on hospitals comes from the regulator (the CQC), which is already obtainable from the CQC website in far greater detail. So what is going on? As PHIN acknowledges on its website, its membership “is made up of hospitals providing privately funded healthcare, including many NHS hospitals”. Hospitals are required collectively to cover the costs of PHIN, the cost being £3.12 for each ‘private patient episode record’, rising to £3.30 in 2016/17. PHIN’s website therefore confirms that its funding comes from private hospital operators, of which some 20, including all the main chains (but none of the NHS hospital trusts) are voting members. Accordingly, PHIN is in no way independent of the private sector, as the make-up of its Board clearly shows: the Chairman used to work for BUPA and the Chief Executive used to be the Chief Executive of the Private Hospitals’ Alliance. There are 8 non-executive directors: one was very senior at the Medical Protection Society and two are panel members of the CMA. Of the Executive Team of three, one used to work for BUPA, another for a number of private hospitals and the third for BMI Healthcare. I, and I am sure many others with an interest in patient safety, have been watching PHIN with interest over the last three years. I had very much hoped that PHIN would spend its time gathering valuable data and statistics such that it would be able to ‘name and shame’ underperforming hospitals and private consultants, as well as highlighting those at the top of the performance ‘league table’. But, given that it has taken three years for PHIN to publish the names, addresses and medical specialties of some consultants, and very limited information on some private hospitals (albeit with some nice pictures of them), I now hold out little hope that PHIN is fit for purpose. Notwithstanding all of this, the CMA seems content with the minimal information that PHIN has provided to date. I acknowledge that these things can take time, but one does not have to be a cynic to think that PHIN appears to be essentially a private hospital “club”, funded and run by private hospitals for the benefit of private hospitals in order to seem to be doing the right thing but with no genuine desire to publish adequate, accurate and useful information. It also appears that no sanction of any kind for failed reporting is likely to be enforced by the CMA. So, to date PHIN is, in my view, a spectacular failure. The lack of regulation in the private sector and the associated lack of accountability remain of grave concern: the case of the surgeon, Mr Paterson, is a recent prime example of how important the issue is.On the Paterson case and its implications see No Safety Without Liability: reforming private hospitals in England after the Ian Paterson scandal PHIN is not only the waste of a great opportunity to inform the public about the quality (or otherwise) of private care, but its performance to date smacks of deliberate delay and obfuscation. 1. ↑ LaingBuisson, Private Acute Healthcare, Market Reports, London 2018. Future of Health and Social Care in England, p. 4.